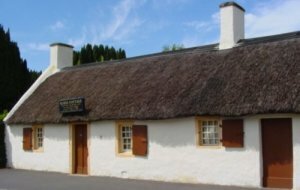 Alloway is best known as the birthplace of Robert Burns, and is also where he set Tam o' Shanter. 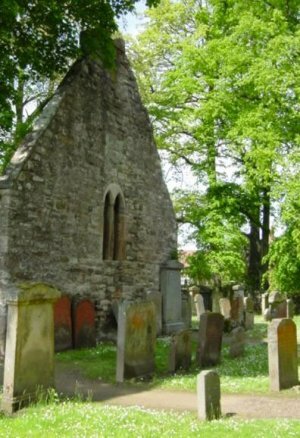 The ruined Alloway Kirk, or Auld Kirk, features in the poem, as the scene of the witches' dance, as does the local Brig o' Doon, where the witch chased Tam O' Shanter over the bridge, but pulled the tail off his horse half-way across, as witches cannot cross water. 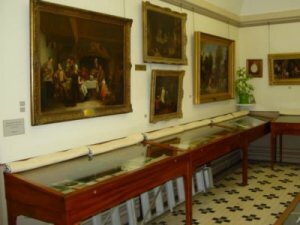 In the heart of the village lies the birthplace of Robert Burns, known as Burns Cottage and the adjacent museum. Robert Burns (1759-1796) is generally regarded as Scotlands national poet. A pioneer of the Romantic movement, his birthday is celebrated annually by Scots with a traditional supper on Burns Night on 25 January. 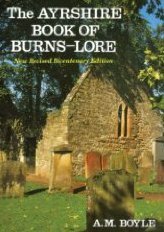 The Ayrshire Book of Burns Lore.